We're always looking for ways to help our customers get their vehicles repaired with minimal interruptions to their everyday lives. That's why we now offer an online booking form for your MPI glass claims. By filling out this form, you are not actually making a claim with MPI - You are only getting the process started. We will contact you once we have this information to start the claim. St.Claude Autobody does not share your information with anybody. You can be sure that your information is safe with us. 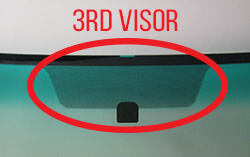 The number highlighted in the drivers license photo is the number needed in the Registered Owner Drivers License Number field. If you claim GST - what percentage? 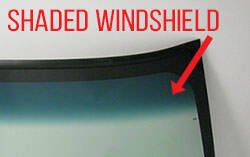 Only Fill Out Section Below if Windshield Replacement is Required. Otherwise Submit Now. Vehicle is Equipped with Automatic Rain Sensing Wipers? Vehicle is equipped with heated windshield wiper area? Vehicle is equipped with lane departure warning system? Vehicle is equipped with adaptive cruise control? Vehicle is equipped with auto dimming headlights?